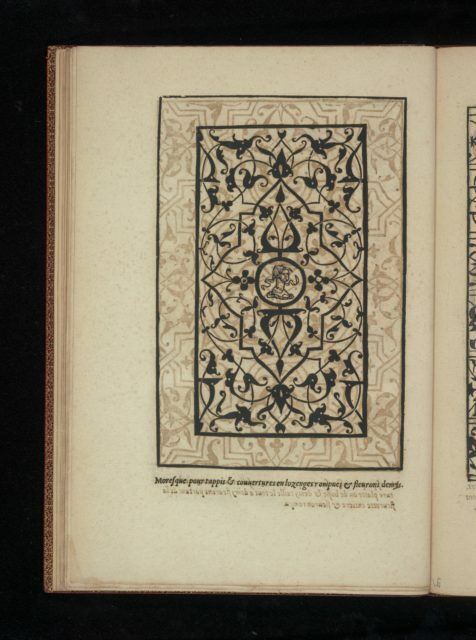 This book of moresques reproduces designs by the Italian artist Francesco Pellegrino, first published in book form by the artist in Paris in 1530 under the title La Fleur de la Science de Pourtraicture. 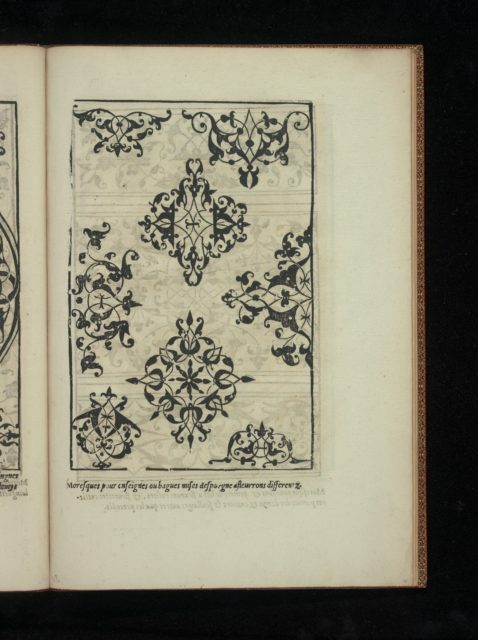 It is considered the first elaborate publication to introduce the exotic designs in Western Europe, although the ornament was known already through the import of textiles and other objects from the Near East. 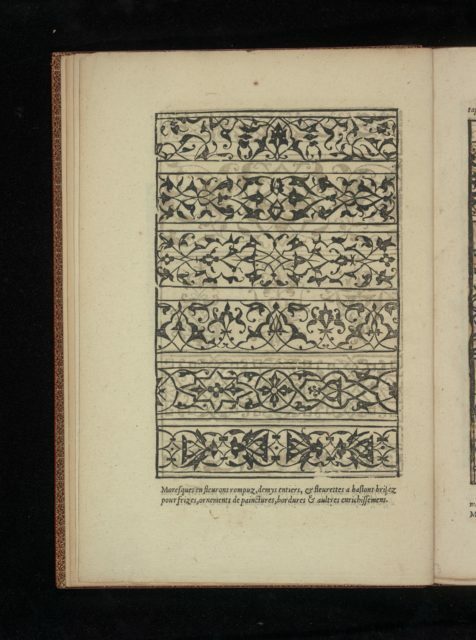 The publication of the ornament in books and prints immensely increased the interest of native artist and it soon became highly fashionable. 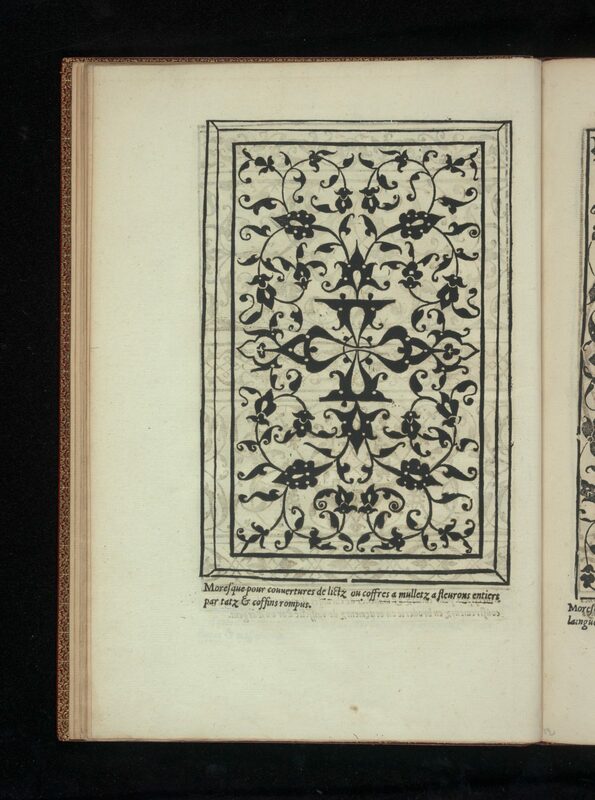 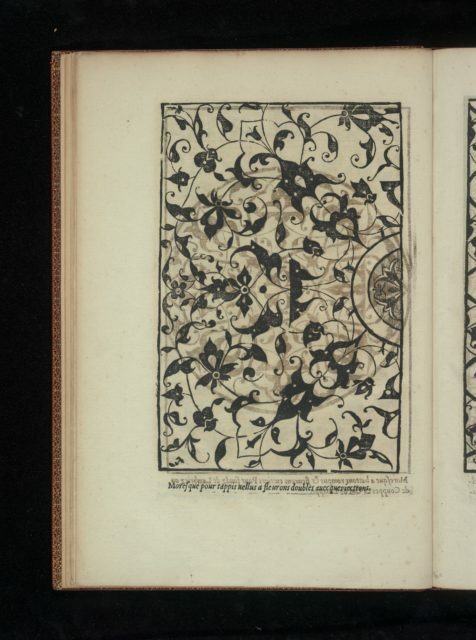 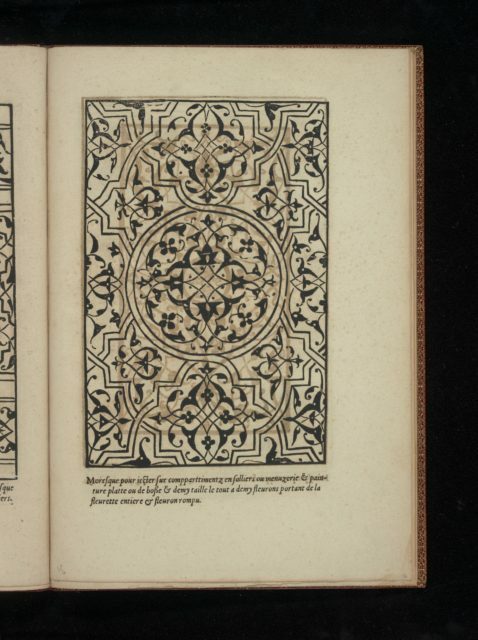 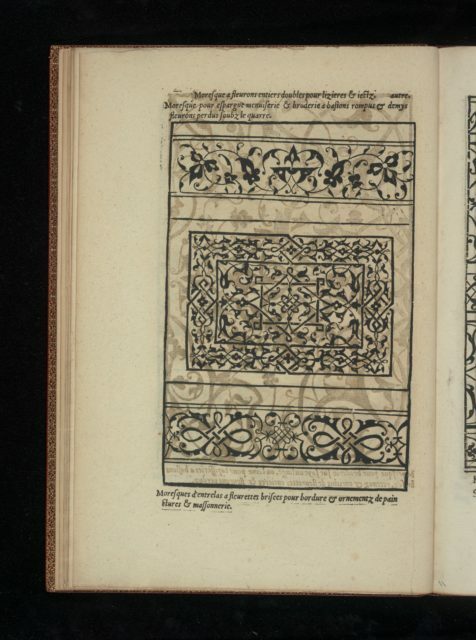 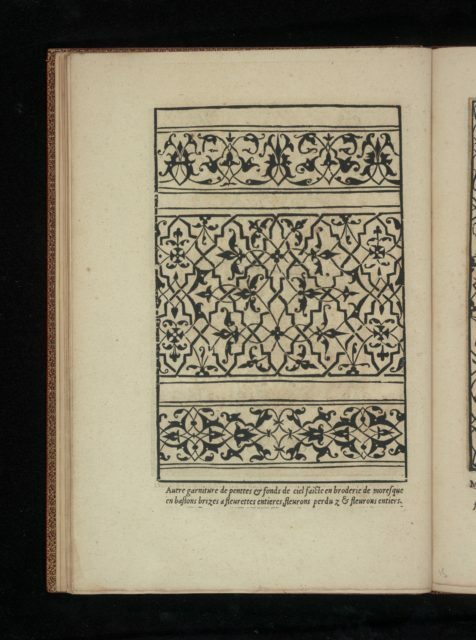 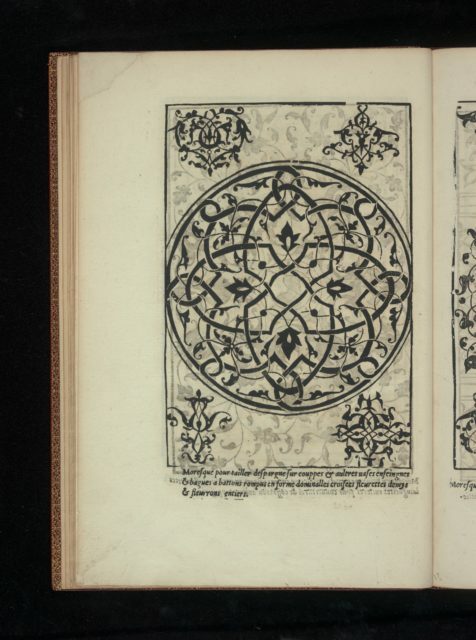 Pellegrino’s designs were reordered and presented in compressed form in the Livre de Moresque, which appears to have been published first by Cornelis Bos in Antwerp in 1543. 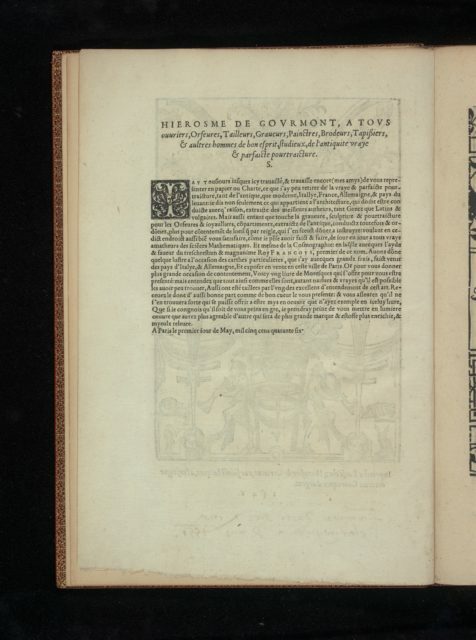 Gormont subsequently published the book in Paris in 1546, possibly with the consent of Bos, whom had spent some time in Paris after his expulsion from Antwerp in 1544, and had settled in Germany (Nuremberg) by 1546.